INVOKANA® is not indicated for weight loss or as an antihypertensive treatment. BP=blood pressure; CV=cardiovascular; CVD=cardiovascular disease; T2D=type 2 diabetes. *Results were seen as early as 12 weeks. References: 1. INVOKANA® [prescribing information]. Titusville, NJ: Janssen Pharmaceuticals, Inc. 2. Neal B, Perkovic V, Mahaffey KW, et al; CANVAS Program Collaborative Group. Canagliflozin and cardiovascular and renal events in type 2 diabetes. N Engl J Med. 2017;377(7):644-657. 3. Stenlöf K, Cefalu WT, Kim KA, et al. Efficacy and safety of canagliflozin monotherapy in subjects with type 2 diabetes mellitus inadequately controlled with diet and exercise. Diabetes Obes Metab. 2013;15(4):372-382. 4. Data on file. Janssen Pharmaceuticals, Inc., Titusville, NJ. INVOKANA® (canagliflozin) is indicated as an adjunct to diet and exercise to improve glycemic control in adults with type 2 diabetes mellitus. INVOKANA® is indicated to reduce the risk of major adverse cardiovascular events (cardiovascular death, nonfatal myocardial infarction, and nonfatal stroke) in adults with type 2 diabetes mellitus and established cardiovascular disease (CVD). INVOKAMET® and INVOKAMET® XR are a combination of canagliflozin and metformin hydrochloride (HCl) indicated as an adjunct to diet and exercise to improve glycemic control in adults with type 2 diabetes mellitus when treatment with both canagliflozin and metformin HCl is appropriate. INVOKANA® is indicated to reduce the risk of major adverse cardiovascular events (cardiovascular death, nonfatal myocardial infarction, and nonfatal stroke) in adults with type 2 diabetes mellitus and established cardiovascular disease (CVD). However, the effectiveness of INVOKAMET®/INVOKAMET® XR in reducing the risk of major cardiovascular events in adults with type 2 diabetes and cardiovascular disease has not been established. INVOKANA®, INVOKAMET®, and INVOKAMET® XR are not recommended in patients with type 1 diabetes or for the treatment of diabetic ketoacidosis. Postmarketing cases of metformin-associated lactic acidosis have resulted in death, hypothermia, hypotension, and resistant bradyarrhythmias. The onset of metformin-associated lactic acidosis is often subtle, accompanied only by nonspecific symptoms such as malaise, myalgias, respiratory distress, somnolence, and abdominal pain. Metformin-associated lactic acidosis was characterized by elevated blood lactate levels (>5 mmol/L); anion gap acidosis (without evidence of ketonuria or ketonemia); an increased lactate:pyruvate ratio, and metformin plasma levels generally >5 mcg/mL. Risk factors for metformin-associated lactic acidosis include renal impairment, concomitant use of certain drugs (eg, carbonic anhydrase inhibitors such as topiramate), age 65 years old or greater, having a radiological study with contrast, surgery and other procedures, hypoxic states (eg, acute congestive heart failure), excessive alcohol intake, and hepatic impairment. Steps to reduce the risk of and manage metformin-associated lactic acidosis in these high-risk groups are provided in the full prescribing information. If metformin-associated lactic acidosis is suspected, immediately discontinue INVOKAMET®/ INVOKAMET® XR and institute general supportive measures in a hospital setting. Prompt hemodialysis is recommended. An approximately 2-fold increased risk of lower-limb amputations associated with INVOKANA® was observed in CANVAS and CANVAS-R, two large, randomized, placebo-controlled trials in patients with type 2 diabetes who had established cardiovascular disease (CVD) or were at risk for CVD. Amputations of the toe and midfoot were most frequent; however, amputations involving the leg were also observed. Some patients had multiple amputations, some involving both limbs. Before initiating, consider factors that may increase the risk of amputation, such as a history of prior amputation, peripheral vascular disease, neuropathy, and diabetic foot ulcers. Monitor patients receiving INVOKANA®/ INVOKAMET®/INVOKAMET® XR for infection, new pain or tenderness, sores, or ulcers involving the lower limbs, and discontinue if these complications occur. Lactic Acidosis: Postmarketing cases of metformin-associated lactic acidosis, including fatal cases, were reported. These cases had a subtle onset and were accompanied by nonspecific symptoms such as malaise, myalgias, abdominal pain, respiratory distress, or increased somnolence; however, hypothermia, hypotension, and resistant bradyarrhythmias have occurred with severe acidosis. Additional findings included elevated blood lactate concentrations (>5 mmol/L), anion gap acidosis (without evidence of ketonuria or ketonemia), an increased lactate:pyruvate ratio, and metformin plasma levels generally >5 mcg/mL. If metformin-associated lactic acidosis is suspected, general supportive measures should be instituted promptly in a hospital setting, along with immediate discontinuation of INVOKAMET®/INVOKAMET® XR. Prompt hemodialysis is recommended to correct the acidosis and remove accumulated metformin. Educate patients and their families about the symptoms of lactic acidosis and if symptoms occur instruct them to discontinue INVOKAMET®/INVOKAMET® XR and report these symptoms to their healthcare provider. Renal Impairment: Obtain an eGFR before initiation and at least annually thereafter, and more frequently in patients at increased risk of renal impairment. Drug Interactions: More frequent monitoring is recommended when administered with drugs that impair renal function, result in hemodynamic change, interfere with acid-base balance, or increase metformin accumulation (eg, cationic drugs). Age 65 or Greater: Assess renal function more frequently in elderly patients. Radiological Studies with Contrast: Stop INVOKAMET®/INVOKAMET® XR at the time of, or prior to, an iodinated contrast imaging procedure in patients with an eGFR of 45 to 60 mL/min/1.73 m2; in patients with a history of hepatic impairment, alcoholism, or heart failure; or in patients who will be administered intra-arterial iodinated contrast. Re-evaluate eGFR 48 hours after the imaging procedure, and restart INVOKAMET®/INVOKAMET® XR if renal function is stable. Surgery and Other Procedures: Discontinue INVOKAMET®/INVOKAMET® XR while patients have restricted food and fluid intake. Hypoxic States: Discontinue INVOKAMET®/INVOKAMET® XR in conditions associated with hypoxemia. Excessive Alcohol Intake: Warn patients against excessive alcohol intake while receiving INVOKAMET®/INVOKAMET® XR. Hepatic Impairment: Avoid use of INVOKAMET®/INVOKAMET® XR in patients with evidence of hepatic disease. Lower-Limb Amputation: An approximately 2-fold increased risk of lower-limb amputations associated with INVOKANA® was observed in CANVAS and CANVAS-R, two randomized, placebo-controlled trials evaluating patients with type 2 diabetes who had either established cardiovascular disease or were at risk for cardiovascular disease. The risk of lower-limb amputations was observed at both the 100-mg and 300-mg once-daily dosage regimens. Amputations of the toe and midfoot (99 out of 140 patients with amputations receiving INVOKANA® in the two trials) were the most frequent; however, amputations involving the leg, below and above the knee, were also observed (41 out of 140 patients with amputations receiving INVOKANA® in the two trials). Some patients had multiple amputations, some involving both lower limbs. Lower-limb infections, gangrene, and diabetic foot ulcers were the most common precipitating medical events leading to the need for an amputation. The risk of amputation was highest in patients with a baseline history of prior amputation, peripheral vascular disease, and neuropathy. Before initiating, consider factors in the patient history that may predispose to the need for amputations, such as a history of prior amputation, peripheral vascular disease, neuropathy, and diabetic foot ulcers. Counsel patients about the importance of routine preventative foot care. Monitor patients for signs and symptoms of infection (including osteomyelitis), new pain or tenderness, sores, or ulcers involving the lower limbs, and discontinue if these complications occur. Hypotension: INVOKANA® causes intravascular volume contraction. Symptomatic hypotension can occur after initiating INVOKANA®/ INVOKAMET®/INVOKAMET® XR, particularly in the elderly, and in patients with impaired renal function, low systolic blood pressure, or on diuretics or medications that interfere with the renin-angiotensin-aldosterone system. Before initiating INVOKANA®/ INVOKAMET®/INVOKAMET® XR, volume status should be assessed and corrected. Monitor for signs and symptoms after initiating therapy. Ketoacidosis: Ketoacidosis, a serious life-threatening condition requiring urgent hospitalization, has been identified in patients with type 1 and 2 diabetes mellitus receiving SGLT2 inhibitors, including INVOKANA®. Fatal cases of ketoacidosis have been reported in patients taking INVOKANA®. Before initiating INVOKANA®/INVOKAMET®/INVOKAMET® XR, consider factors in patient history that may predispose to ketoacidosis. Monitor for ketoacidosis and temporarily discontinue in clinical situations known to predispose to ketoacidosis. Acute Kidney Injury: INVOKANA® causes intravascular volume contraction and can cause acute kidney injury. Acute kidney injury, requiring hospitalization and dialysis, has been reported; some reports involved patients younger than 65 years of age. Before initiation, consider factors that may predispose patients to acute kidney injury. Consider temporarily discontinuing INVOKANA®/INVOKAMET®/INVOKAMET® XR in any setting of reduced oral intake or fluid losses; monitor patients for signs and symptoms of acute kidney injury. If it occurs, promptly discontinue and treat. Initiation of INVOKANA® may increase serum creatinine and decrease eGFR. Evaluate renal function prior to initiation and periodically thereafter. Dose adjustment and more frequent renal function monitoring are recommended in patients with an eGFR <60 mL/min/1.73 m2. Urosepsis and Pyelonephritis: Serious urinary tract infections, including urosepsis and pyelonephritis, requiring hospitalization have been reported in patients receiving SGLT2 inhibitors, including INVOKANA®. Treatment with SGLT2 inhibitors increases the risk for urinary tract infections. Evaluate for signs and symptoms and treat promptly. INVOKANA® can increase the risk of hypoglycemia when combined with insulin or an insulin secretagogue. A lower dose of insulin or insulin secretagogue may be required. Hypoglycemia does not occur in patients receiving metformin alone under usual circumstances of use, but could occur when caloric intake is deficient, when strenuous exercise is not compensated by caloric supplementation, or when used concomitantly with other glucose-lowering agents (such as sulfonylureas or insulin) or ethanol. Monitor for a need to lower the dose of INVOKAMET®/INVOKAMET® XR. Necrotizing Fasciitis of the Perineum (Fournier’s Gangrene): Necrotizing fasciitis of the perineum, a rare but serious and life-threatening necrotizing infection requiring urgent surgical intervention, has been identified in postmarketing surveillance in female and male patients with diabetes mellitus receiving SGLT2 inhibitors, including INVOKANA®. Serious outcomes have included hospitalization, multiple surgeries, and death. If suspected, start treatment immediately with broad-spectrum antibiotics and, if necessary, surgical debridement. Discontinue INVOKANA®/INVOKAMET®/INVOKAMET® XR. Genital Mycotic Infections: INVOKANA® increases risk of genital mycotic infections, especially in uncircumcised males or patients with prior infections. Monitor and treat appropriately. Hypersensitivity Reactions: Hypersensitivity reactions, including angioedema and anaphylaxis, were reported with INVOKANA®; these reactions generally occurred within hours to days after initiation. 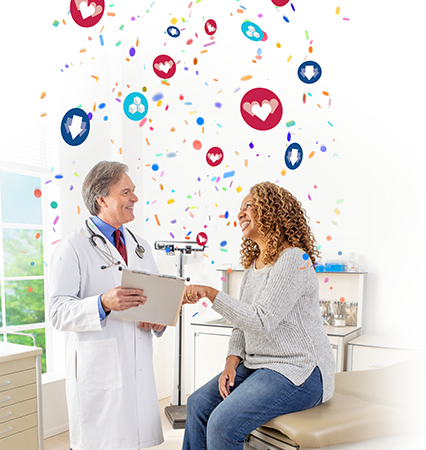 If reactions occur, discontinue INVOKANA®/INVOKAMET®/INVOKAMET® XR; treat and monitor until signs and symptoms resolve. Bone Fracture: Increased risk of bone fracture, occurring as early as 12 weeks after treatment initiation, was observed in patients using INVOKANA®. Prior to initiation, consider factors that contribute to fracture risk. Vitamin B12 Levels: Metformin may lower vitamin B12 levels. Measure hematological parameters annually and vitamin B12 at 2- to 3-year intervals and manage any abnormalities. Increases in Low-Density Lipoprotein (LDL-C): Dose-related increases in LDL-C can occur with INVOKANA®. After initiation, monitor LDL-C and treat if appropriate. Topiramate or other carbonic anhydrase inhibitors (eg, zonisamide, acetazolamide, or dichlorphenamide) frequently decrease serum bicarbonate and induce non-anion gap, hyperchloremic metabolic acidosis. Concomitant use of these drugs may induce metabolic acidosis. Use these drugs with caution in patients treated with metformin, as the risk of lactic acidosis may increase. Drugs that are eliminated by renal tubular secretion (eg, cationic drugs such as cimetidine) may increase accumulation of metformin and risk for lactic acidosis. Alcohol is known to potentiate the effect of metformin on lactate metabolism. Warn patients against excessive alcohol intake while receiving INVOKAMET®/INVOKAMET® XR. Certain drugs tend to produce hyperglycemia and may lead to loss of glycemic control. These drugs include the thiazides and other diuretics, corticosteroids, phenothiazines, thyroid products, estrogens, oral contraceptives, phenytoin, nicotinic acid, sympathomimetics, calcium channel blockers, and isoniazid. When such drugs are administered to a patient receiving INVOKAMET®/INVOKAMET® XR, the patient should be closely observed for loss of blood glucose control. When such drugs are withdrawn from a patient receiving INVOKAMET®/INVOKAMET® XR, the patient should be observed closely for hypoglycemia. Rifampin lowered INVOKANA® exposure, which may reduce the efficacy of INVOKANA®/ INVOKAMET®/INVOKAMET® XR. If an inducer of UGT enzymes must be co-administered with INVOKANA®/INVOKAMET®/INVOKAMET® XR, consider increasing the total daily dose of INVOKANA® to 300 mg if patients are currently tolerating a total daily dose of 100 mg INVOKANA®, have an eGFR >60 mL/min/1.73 m2, and require additional glycemic control. Consider alternate treatment in patients with an eGFR <60 mL/min/1.73 m2 who require additional glycemic control. INVOKANA® increased digoxin exposure. Digoxin, as a cationic drug, also has the potential to compete with metformin for common renal tubular transport systems. Monitor patients with concomitant digoxin and adjust doses appropriately. Monitoring glycemic control with urine glucose tests is not recommended in patients taking SGLT2 inhibitors. Use alternative methods to monitor glycemic control. Monitoring glycemic control with 1,5-AG assay is not recommended in patients taking SGLT2 inhibitors. Use alternative methods to monitor glycemic control. Pregnancy: INVOKANA®/INVOKAMET®/INVOKAMET® XR is not recommended in pregnant women, especially during the second and third trimesters. Nursing Mothers: INVOKANA®/INVOKAMET®/INVOKAMET® XR is not recommended while breastfeeding. Females and Males of Reproductive Potential: Discuss the potential for unintended pregnancy with premenopausal women as therapy with metformin may result in ovulation in some anovulatory women. Pediatric Use: Safety and effectiveness of INVOKANA®​/INVOKAMET®/INVOKAMET® XR in patients <18 years of age have not been established. Geriatric Use: Frequently monitor renal function after initiating INVOKANA®​/INVOKAMET®/INVOKAMET® XR in elderly patients and adjust dose accordingly. Patients ≥65 years had a higher incidence of adverse reactions related to reduced intravascular volume, particularly with the 300-mg dose; more prominent increase in the incidence was seen in patients who were ≥75 years. Smaller reductions in HbA1c relative to placebo were seen in patients ≥65 years compared to younger patients. The initial and maintenance dosing of metformin should be conservative in elderly patients due to potential decreased renal function. Adjust dose based on assessment of renal function. 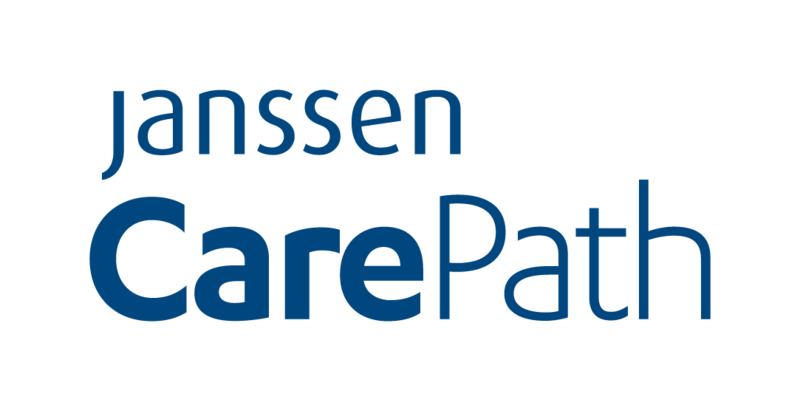 Renal Impairment: INVOKANA®​/INVOKAMET®/INVOKAMET® XR should not be used in patients with severe renal impairment (eGFR <45 mL/min/1.73 m2), with end-stage renal disease, or receiving dialysis. Hepatic Impairment: Metformin use in patients with hepatic impairment has been associated with some cases of lactic acidosis. INVOKANA® has not been studied in patients with severe hepatic impairment. INVOKANA®​/INVOKAMET®/INVOKAMET® XR is not recommended in patients with hepatic impairment. In the event of an overdose with INVOKANA®​/INVOKAMET®/INVOKAMET® XR, contact the Poison Control Center. Employ the usual supportive measures. The most common (≥5%) adverse reactions with INVOKANA® were female genital mycotic infections, urinary tract infections, and increased urination. The most common adverse reactions due to initiation of metformin are diarrhea, nausea/vomiting, flatulence, asthenia, indigestion, abdominal discomfort, and headache. Please see full Prescribing Information, including Boxed WARNING, and Medication Guide for INVOKANA®. Please see full Prescribing Information, including Boxed WARNINGS, and Medication Guide for INVOKAMET® and INVOKAMET® XR. Canagliflozin is licensed from Mitsubishi Tanabe Pharma Corporation. This site is published by Janssen Pharmaceuticals, Inc., which is solely responsible for its contents. This site is intended for use by healthcare professionals of the United States and Puerto Rico. Janssen Pharmaceuticals, Inc., recognizes that the Internet is a global communications medium; however, laws, regulatory requirements, and medical practices for pharmaceutical products vary from country to country. The Prescribing Information included here may not be appropriate for use outside the United States and Puerto Rico. You have just clicked on a link that will take you to another Web site. This Web site is neither owned nor controlled by Janssen Pharmaceuticals, Inc., which is not responsible for the content or services of this site.